The International 2016 isn’t only the most important Dota 2 tournament, it’s also the tournament to beat the prize pool world record of all eSports. This makes it also one of the most popular tournaments when it comes to betting. 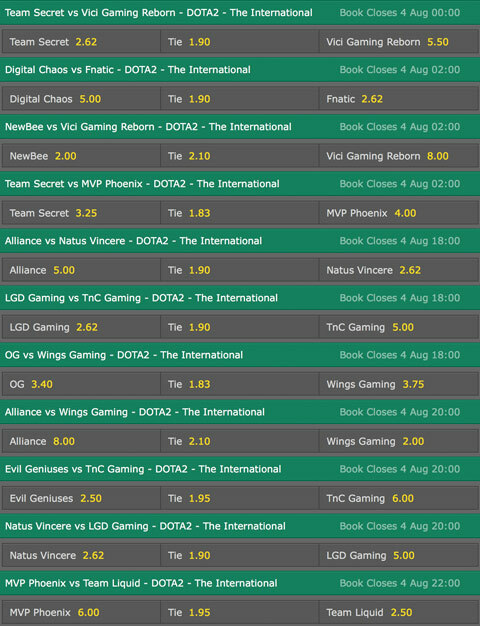 Ti6 bets are really exciting since the tournament itself has shown many surprises year after year. Many unexpected results have come from past TI's, so it’s a great opportunity to earn lots of rewards. 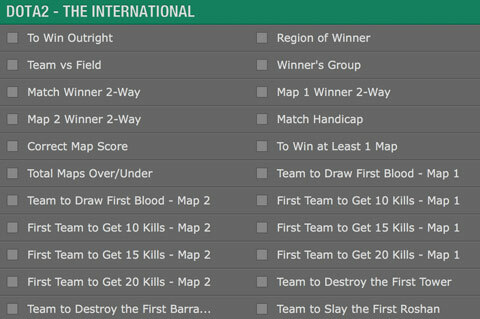 Here you will find the information you need if you’re interested in placing your own bets on the International 2016 results. 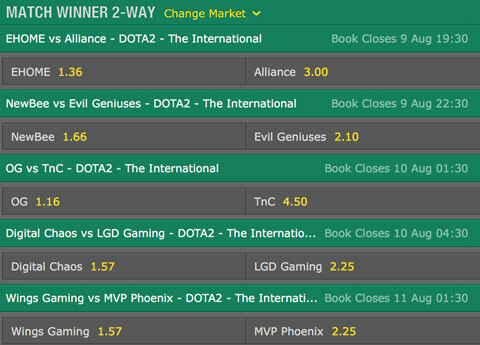 Update: For bets, odds and betting odds for The International 2017 in Dota 2 click here. These sites offer different options regarding the type of bet you can make, and what kind of currency you can use. 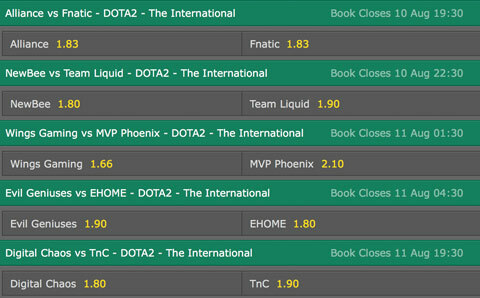 They all offer their own Ti6 betting odds, so it’s a good idea to check them all before making a decision. 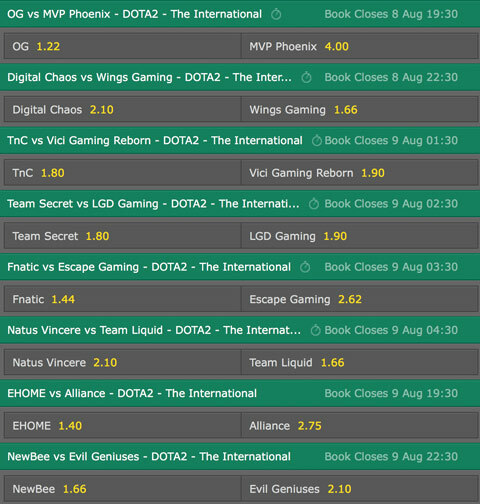 To Reach the Final: This bet is placed on a team that you believe will at least get to the Grand Finals of the tournament, which will happen on August 13. Region of Winner: This is the easiest bet, as there are fewer options from where to choose. You will simply need to pick the region of the winner team, which could be Europe, America, SEA or China. 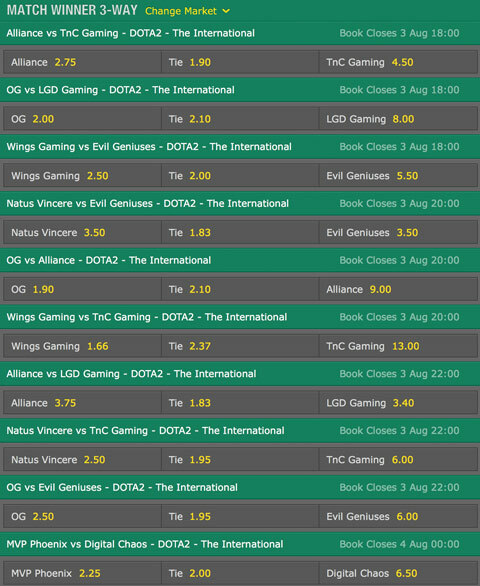 Each site offer their own Ti6 Odds, which although they normally aren’t too different from each other, you can get better rewards if the team you want to put your wager on has more favorable odds in a certain site. This is an important tip that will let you get the most out of your bets. 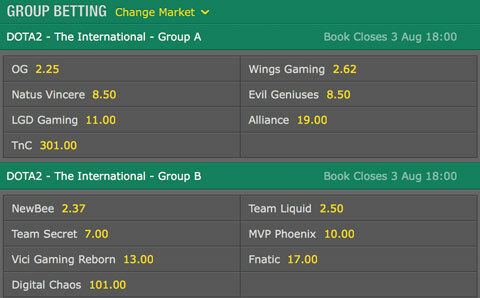 Match and Group Winner odds will be featured as soon as Valve releases the schedule for TI6.